Added on September 8, 2016 by Jacqui Dean. I was delighted to have won AIPP APPA Commercial Photographer of the Year announced in Melbourne at the Awards Dinner on August 31st. A huge week with the Australian Professional Photography Awards and the Nikon Event. Added on August 10, 2014 by Jacqui Dean. I am really looking forward heading to Adelaide as part of the Shimmer Photography Biennale showcasing Translucence. I am giving a floor talk on the 14th September about my art practice and photography. 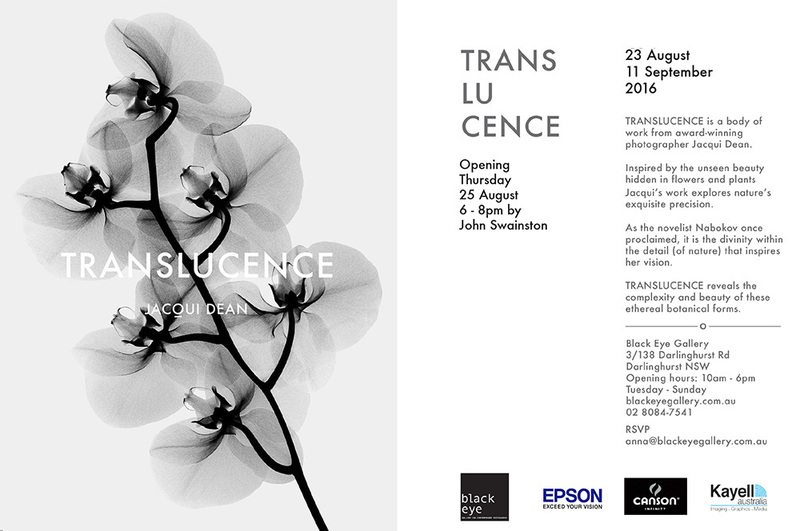 This will be the first time Translucence will be shown in South Australia. Added on November 23, 2013 by Jacqui Dean. A series of images from my Translucence exhibition have made the cover of Melbourne Review Magazine. Thanks Melbourne Review! Added on September 15, 2013 by Jacqui Dean. I'm very excited to announce that Translucence is coming to Melbourne showing at the Eleven40 Studio Gallery, Malvern from 12 September to 10 October. Opening Wednesday 18 September from 6.30pm. All welcome. Thanks so much to Glenn Gibson and team at Eleven 40 Studio Gallery, Epson, L&P Digital Photographic and MMI. The 2013 Ballarat International Foto Biennale was a great success and I was thrilled that images from my Translucence exhibition were on display as part of the BIFB Collection thanks to Glenn Gibson and team from Eleven40 Studio Gallery. A huge congratulations to Jeff Moorfoot and the whole team at BIFB for another great Biennale and for raising the profile of photographers and photography in Australia. Added on June 29, 2013 by Jacqui Dean. 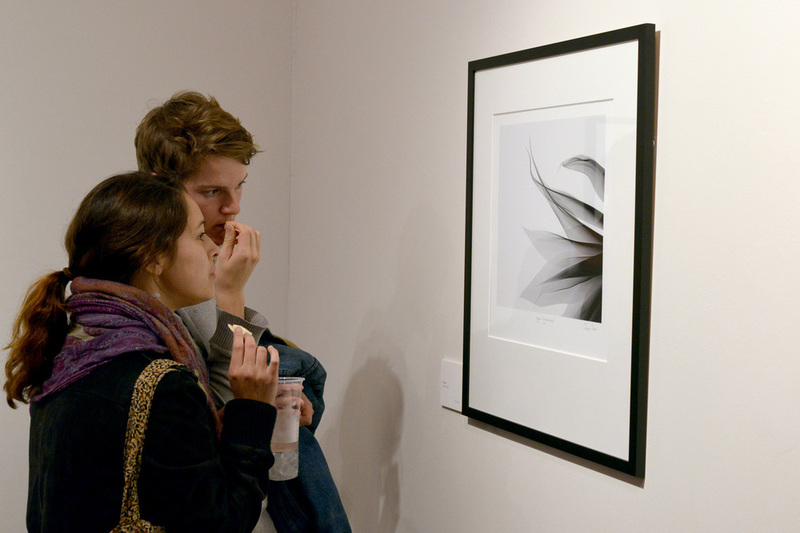 Thank you to everyone who came along to the opening night of my exhibition, Translucence. It was a huge success and lovely to see so many people. I'd like to thank Head On, Epson, the fantastic staff at L&P, MMI and everyone involved in making the exhibition a reality. The show will be going to Melbourne towards the end of the year, so I'll keep you posted with dates. 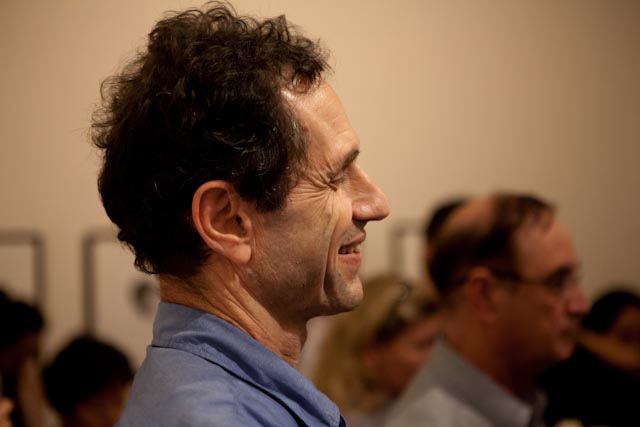 Thank you to Michael Wright and Henry Urrejola for photographing the opening. Some images below. Added on April 20, 2013 by Jacqui Dean.